I was using http://www.didww.com/ for the last year or so. They offer DIDs in just about any country with a whole whack of routing options, including termination to SIP, Skype, or PSTNs. However, no SMS support, which is — indeed — a drag. I’ve been using SkypeIn on my Android phone for a while, it’s pretty close, but the SMS thing is the killer. Currently I have a Rogers and a Wind Mobile phone (didn’t port my number in because I was hedging my bet on the quality of service outside of downtown Toronto). Yep, will add a column for porting a Cdn Number. This is a requirement. I have a 416 number and I want to keep it so I don’t have to reprint biz cards, update my contact lists, etc. 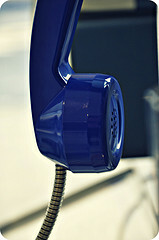 We’re using My1Voice http://www.my1voice.com/features/ for our business lines but may switch to http://www.voip.ms. VOIP.ms is much more flexible (and cheaper) but harder to setup. Let me echo Sam’s recommendation…. I’m a big user of Voip,ms- in terms of service, fetaureset and pricing – I can’t think of anyone better. Another vote for voip.ms. I use it as our primary home service (no POTS) as well on my iPhone via the quite excellent SIP app Acrobits Softphone. Still no SMS as Matt pointed out, but overall we’ve been really happy with it. You can replicate a lot of Google Voice’s features using Voip.ms’s web control panel, including setting up ring groups which ring a set of phone numbers at the same time, making a number a pass-through # for cheap long distance, and a ton more. We use RingCentral.ca and like it alot. We even went with their VoIP phones in our offices. Great reception. tropo does have cdn incoming sms. Not sure if you knew that or not? Twilio would be much better but they don’t. Using Anveo currently for the same reasons. Was hoping that SMS to email was more mature but it seems to be missing some features. I’ve requested features for both of these issues. I’m using callcentric right now – having ported from Bell Canada (wirelines) – but no SMS and when asked they are non specific about it. Thinking about porting my Bell Mobility phone to a voip provider – but for me SMS is a must. I just looked at http://www.anveo.com/ and it looks like they do everything you want now… what am I missing? Several SMS related updates in Jan 2012. Even looks as though I can peer to CallCentric so calls to my friends and family on CallCentric numbers would be 0cents/minute. Also any thoughts on the best iOS and Android VOIP client with integrated SMS send / received (to phone numbers and email addresses). Acrobits Groundwire looks good? I’ve been using voip.ms for about a year and have been very happy. I also use Voicenetwork, though they were recently purchased by Yak Communications. Neither offer SMS sadly, though I did sign up for Anveo after reading your post. The SMS features are slick, but they seem pricey.